I'm back to blogging! Quick recap: the Pennsylvania bar exam is over--just waiting on results. My clerkship ends in August, so I'm in job-hunting mode. Otherwise, it's the usual: work, reading, a little TV, a little exercise (need to work on that), and messing around with a story idea. And now blogging again, too! 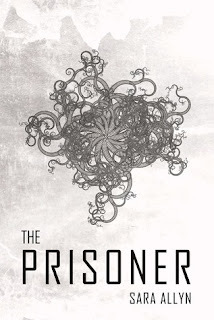 Context: I just DNF'd The Prisoner by Sara Allyn. (I didn't mark it on Goodreads because I could see myself maybe going back and finishing the book at some point . . . just not now.) I won't copy the synopsis listed on Goodreads here because it's SUPER spoilery, although it sounds like eventually the book might have turned around for me? Again, might go back to it one day, but it wasn't working for me right now. Basically, human grad student winds up on alien planet where human females are "companions" for rabbit-eared alien guys because their population has a severe lack of women, and the humans enjoy a functional/legal status that's something of a cross between property, children, dogs, and occasional bedmates. There are also some talking alien wolves in the woods who have a beef with this one city . . . the only city on the whole planet. >.> But I digress. So look, the story elements and the alien/human culture dynamics are interesting, and aside from several typos (which I now wish I'd marked just in case the author wanted them? ), the writing is pretty decent. My problem is that the protagonist is trapped in this horrible, artificial/manipulated life with majorly limited freedom and, apparently, no way home. And she stays that way. Trapped. When I stopped, the MC was focused on adjusting her current circumstances to be more bearable or palatable, with apparently no plans for changing those circumstances to alter her status and maybe regain some of what she's lost. Meanwhile, my brain is screaming: "My name is [insert MC]. You stole my freedom. And left my dog. And tried to kill me. Prepare to die." It probably also didn't help that the author and side characters keep telling us how "smart" this girl is, and I'm like, "Name one smart thing she has done so far. Just one." At another time, maybe even a month from now, I could probably read through the whole book and wait patiently for the MC to use some agency and fight the system or think outside the box and find creative solutions. But that wasn't happening right now. For whatever reason, emotionally, if not mentally, I needed to see this girl DO something about all the problems in front of her. And as she continued to not do that, I got more and more frustrated. So I put it down. I'm still curious about how The Prisoner ends. The synopsis tells me there are big twists around the corner (at some point), but it's not worth the major frustration I felt with this MC to try to force myself through it right now. Unfortunate, but there you have it. Sometimes you're just not in the right mood for a particular book. Do any of you ever run into this problem? 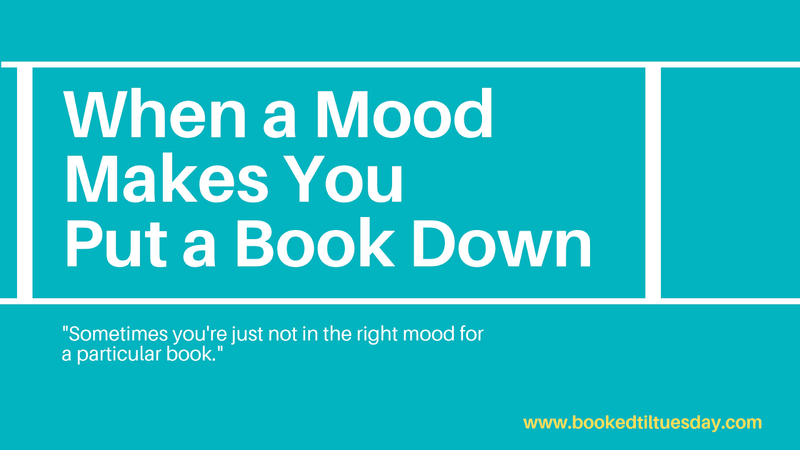 What do you do when your mood and current read don't align--stay the course, put it down forever, or come back later? So I almost *always* stay the course which... is a terrible mistake most of the time? But then what happens is, ONE time out of say, 30, I end up actually really liking the book so then I no longer trust my decision to quit stuff! Ooh, second guessing can lead to all sorts of pain. 😂What kills me is I usually know if I want to continue a book or not within the first 1-2 chapters, so when I'm slogging halfway through, I'm extra ticked at the wasted time (and at the book for dropping the ball after a decent start). Apparently, we are not ruthless enough. We'll have to work on that. I'm such a mood reader that if the mood isn't right there is no way to force myself to read it. It's part of the reason why I only count a book as DNF if I've gotten about halfway through and put it down. Most of the time when I'm reading a book and I see the time isn't right, I put it down immediately. Page 1 or page 5, and then decide at a later time whether it was just a mood, or whether I don't want to read the book at all. There are some books that I've gone back to in a better mood and loved, and some that I decided weren't worth returning to.